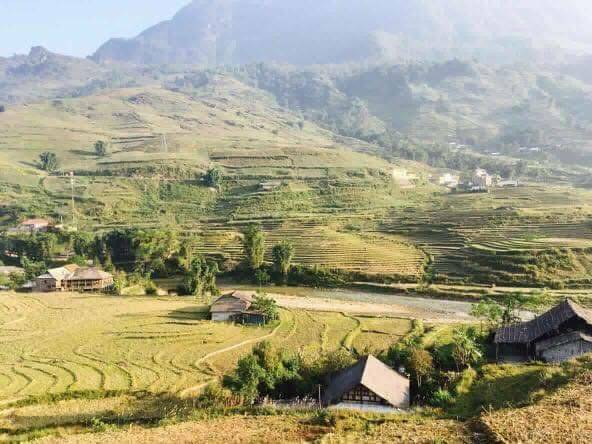 You will rrive at Lao Cai station at about 6:00am. 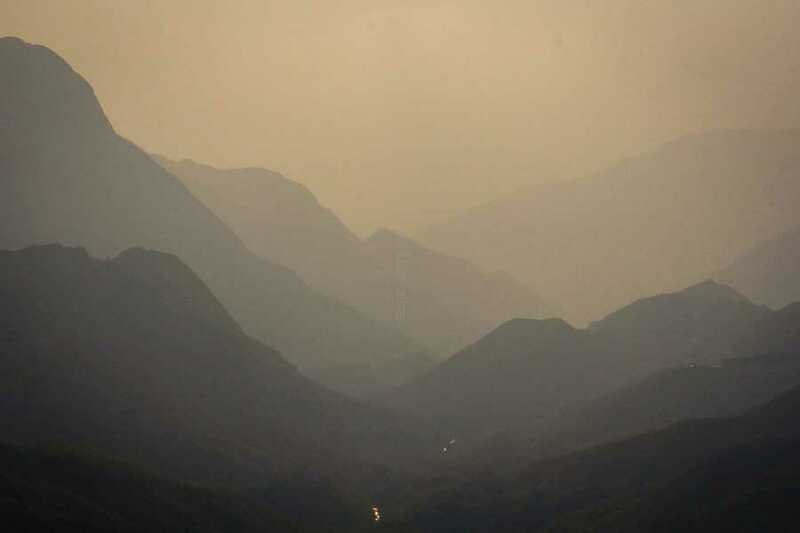 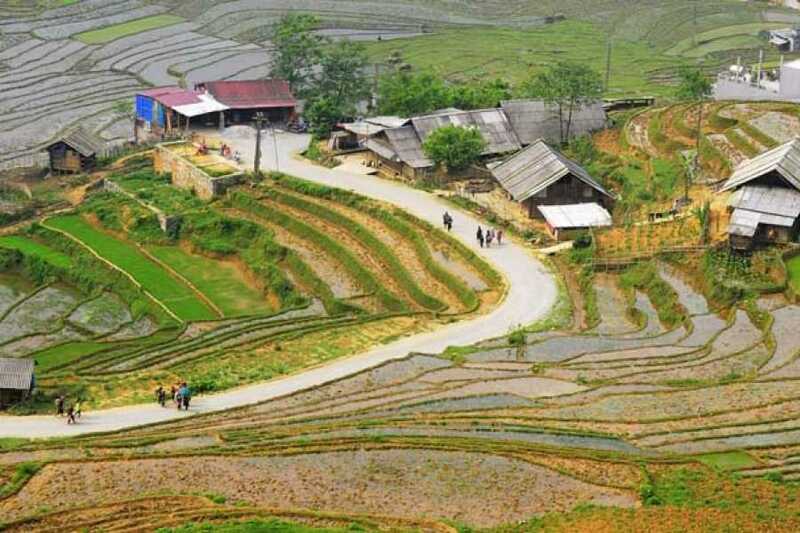 Our tour guide will pick up you at Lao Cai Station then transfer to Sapa by bus. 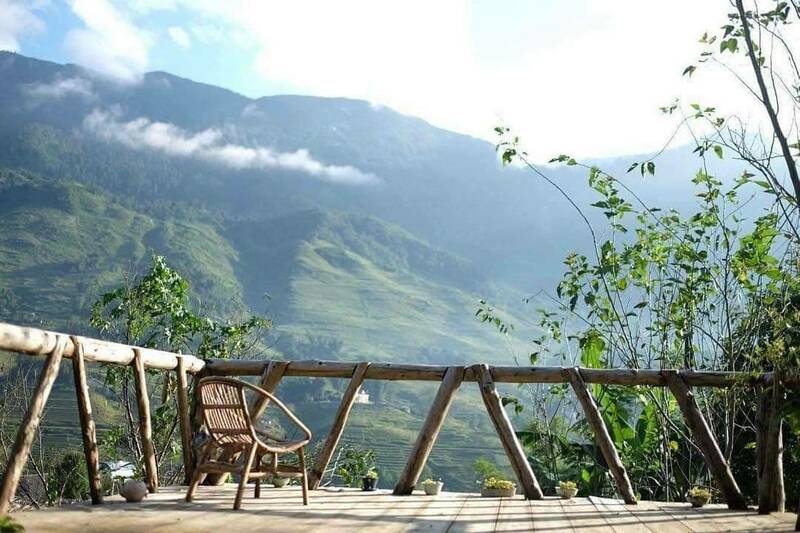 Have breakfast before the trip starts. 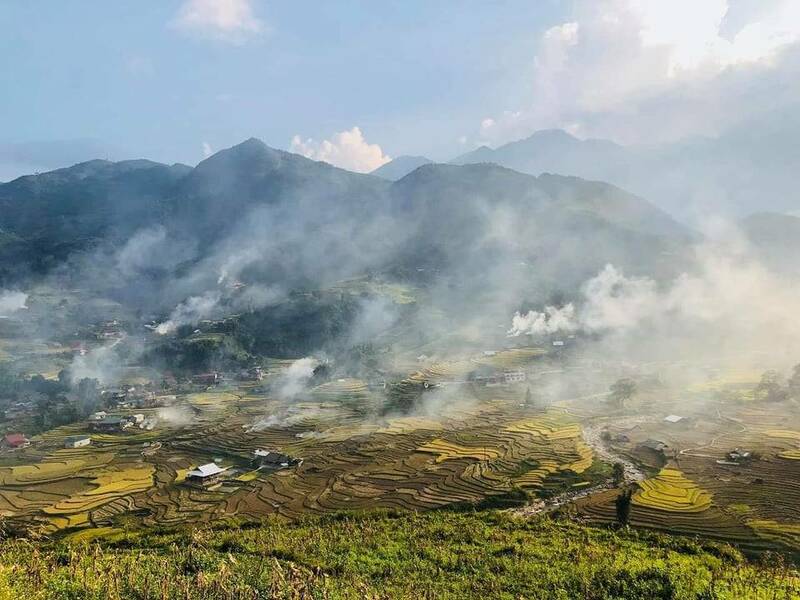 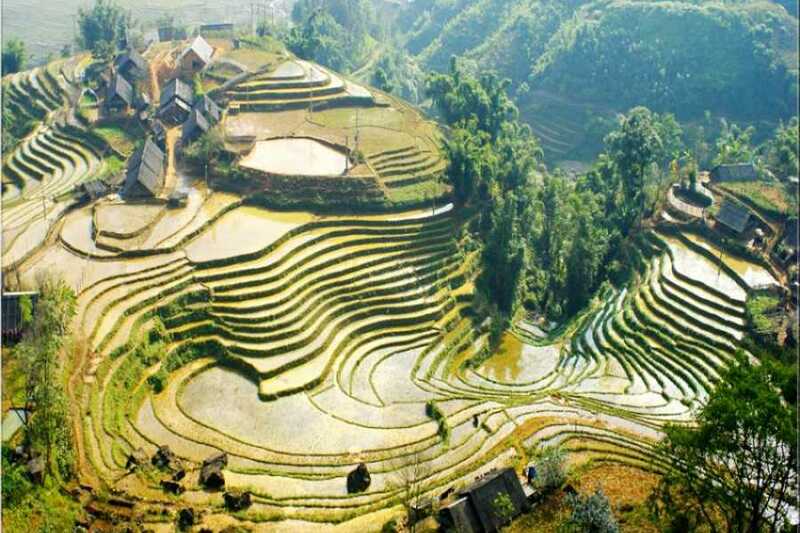 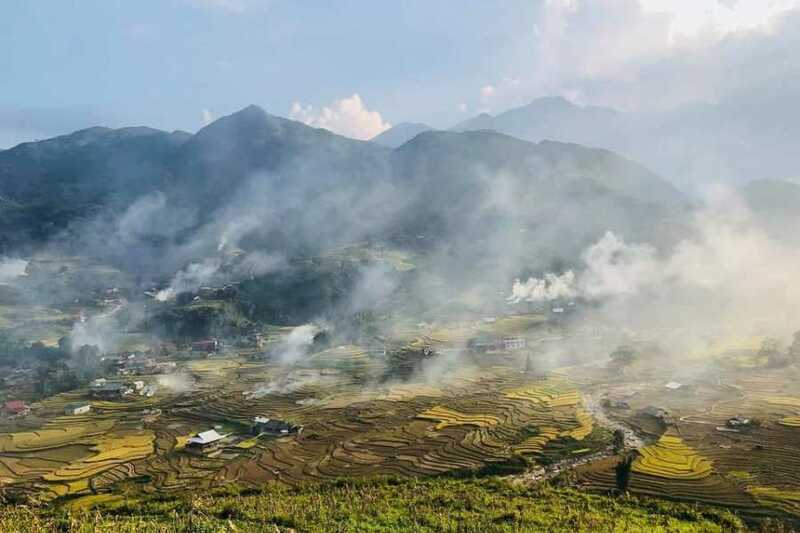 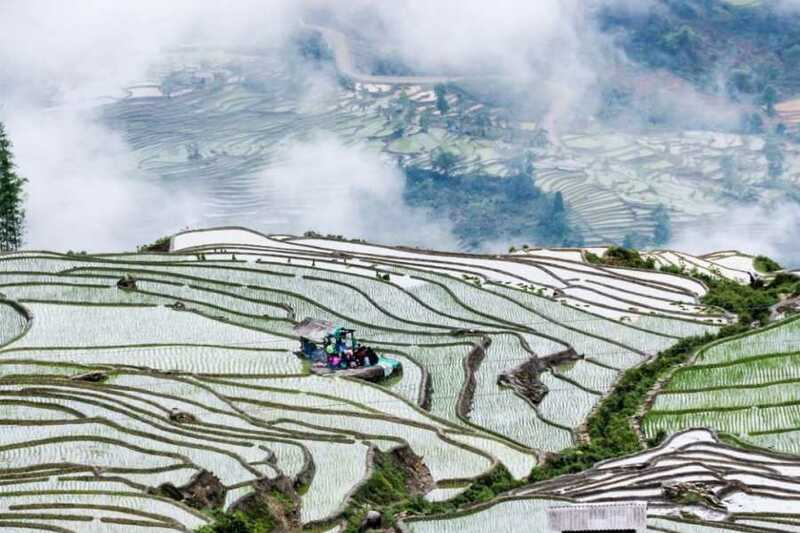 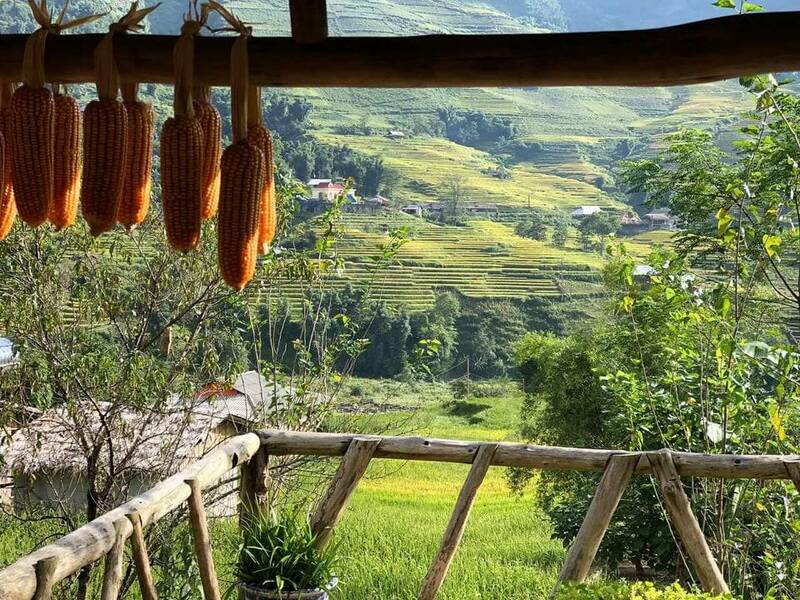 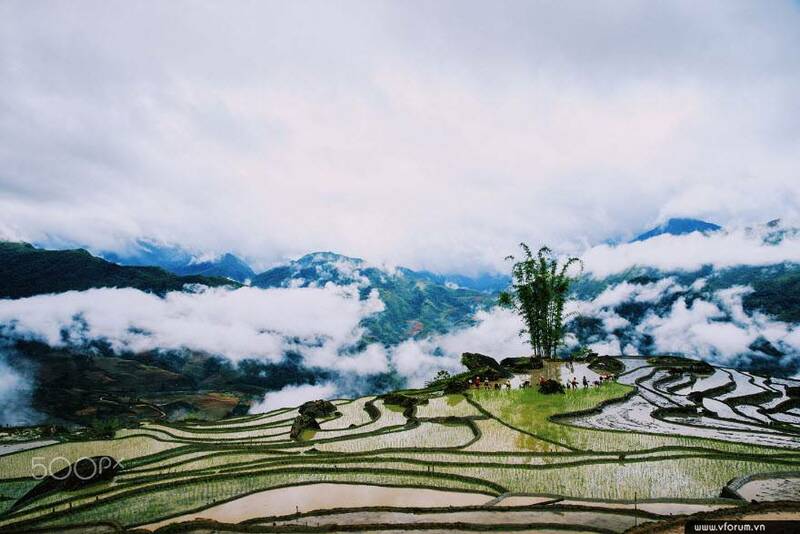 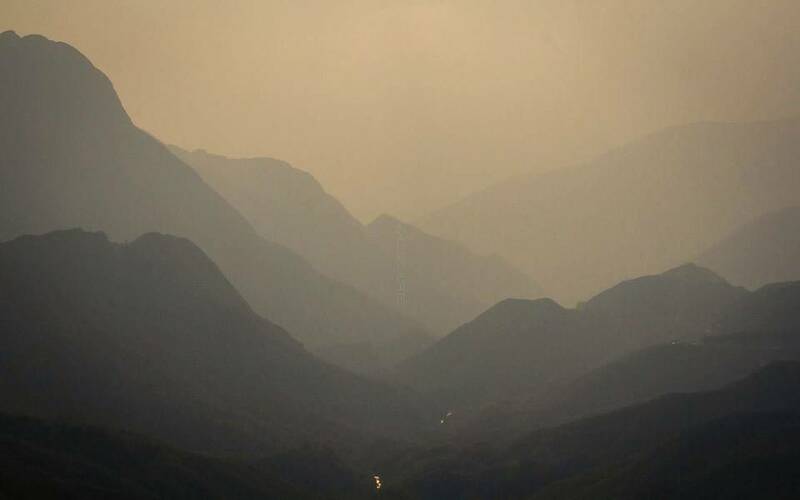 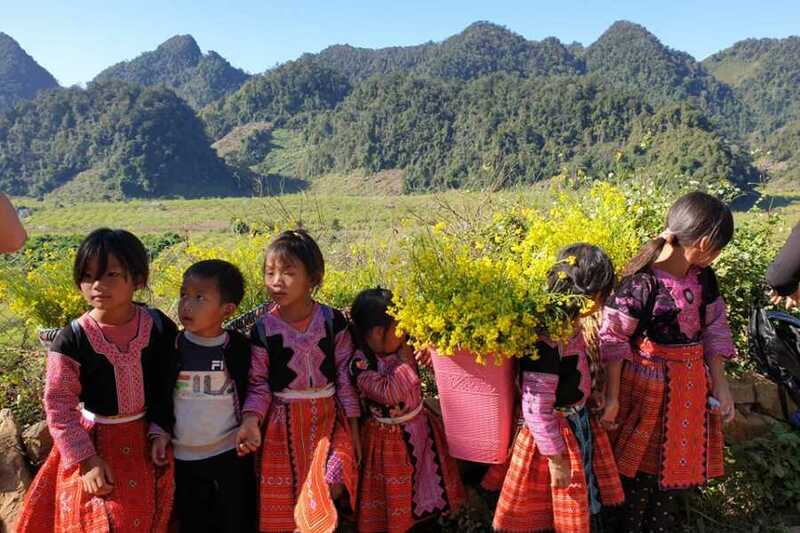 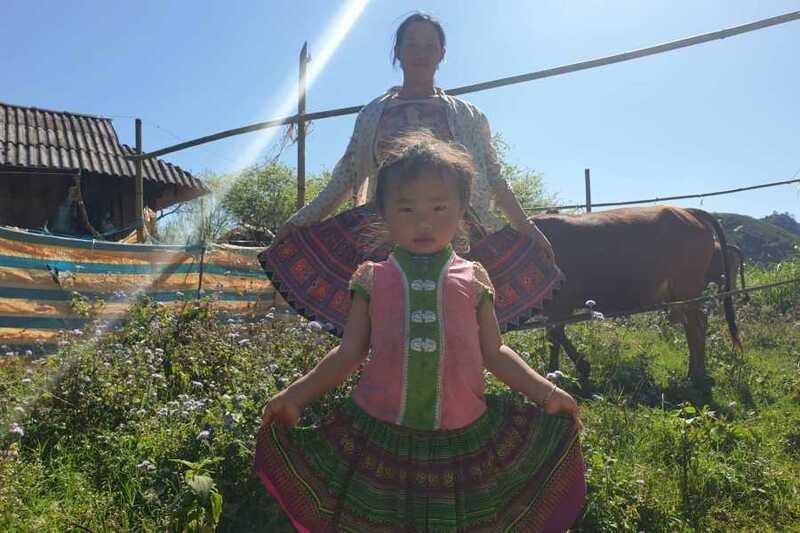 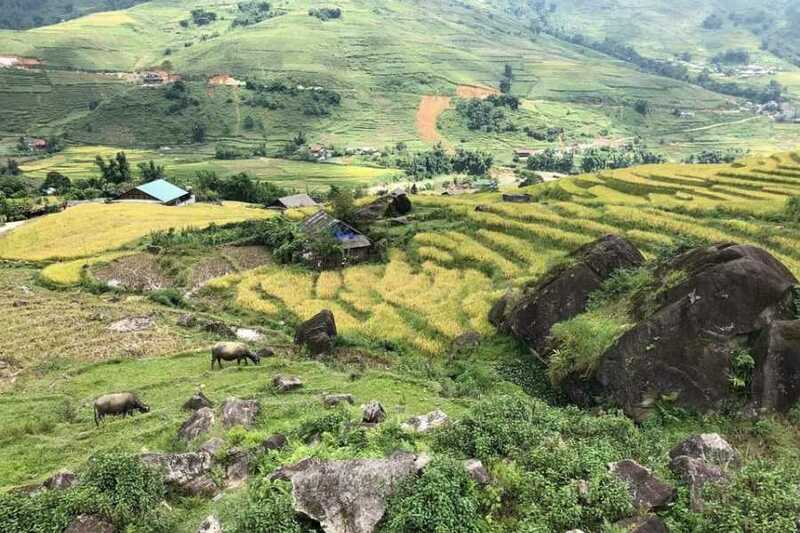 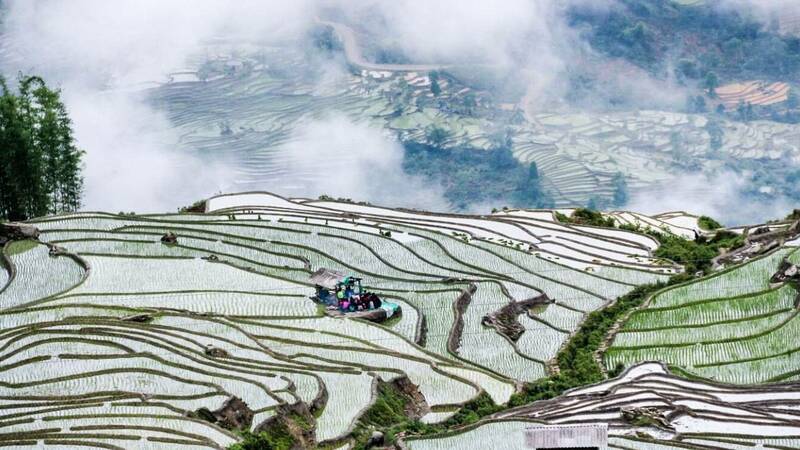 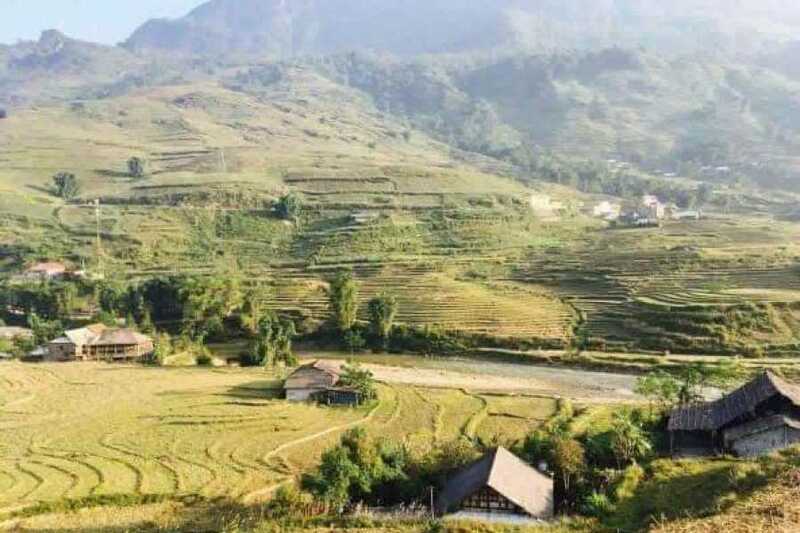 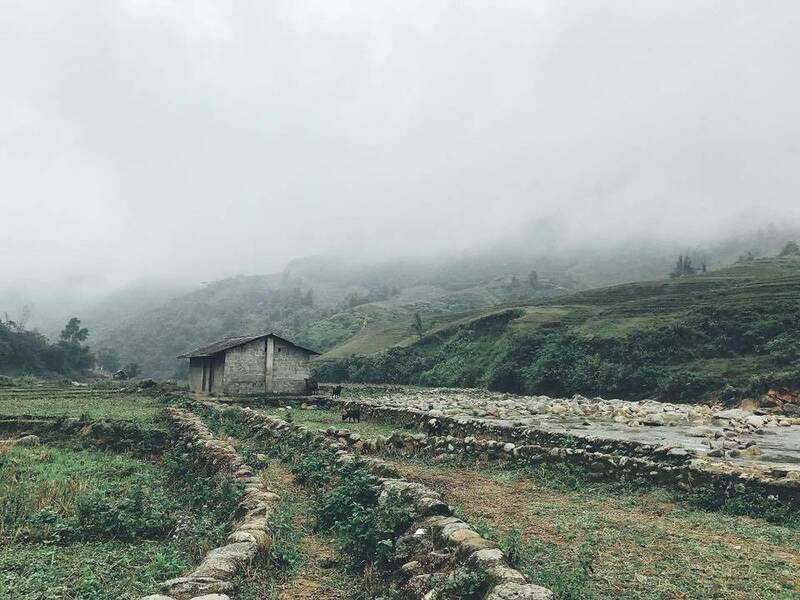 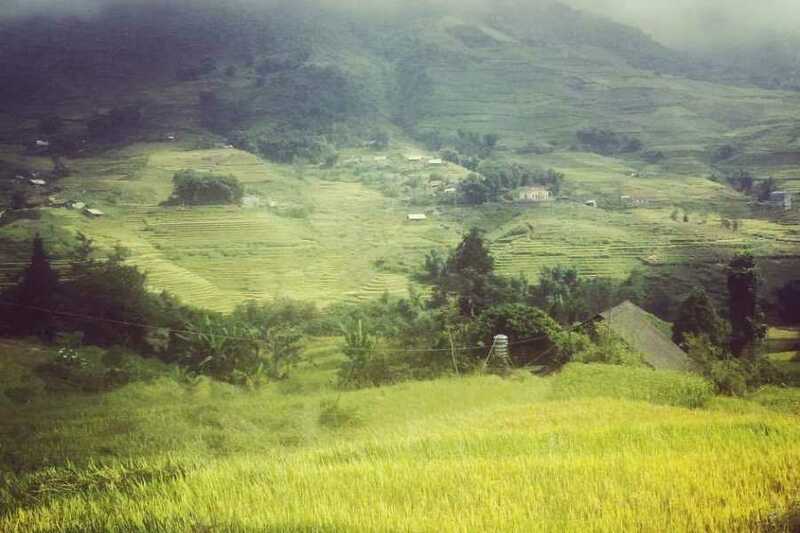 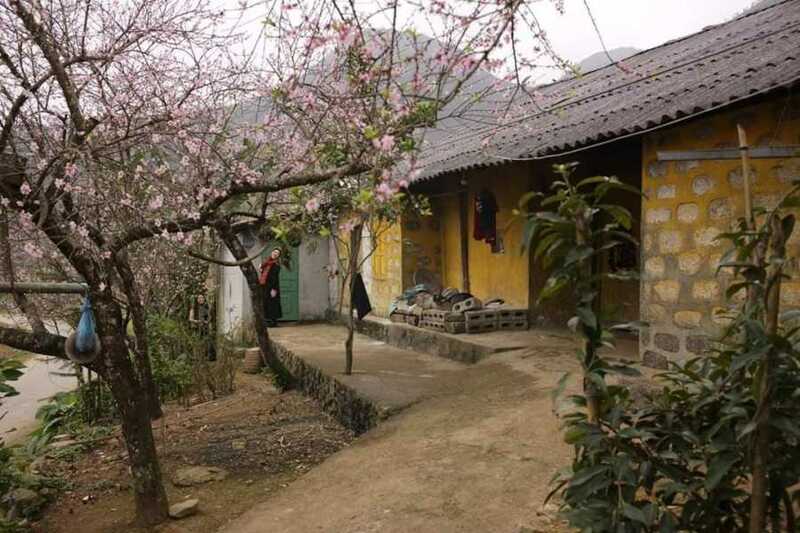 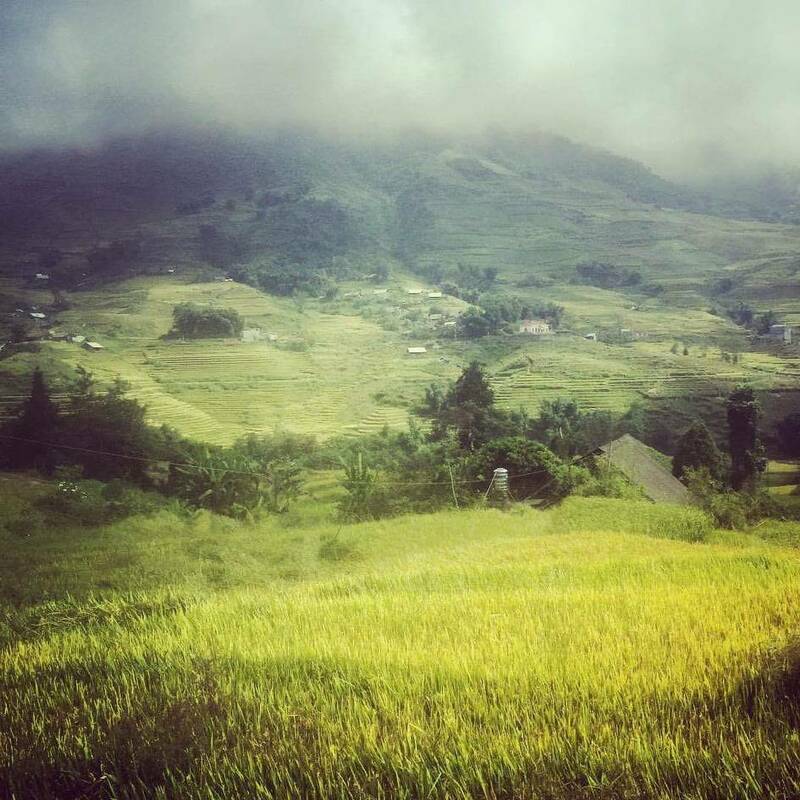 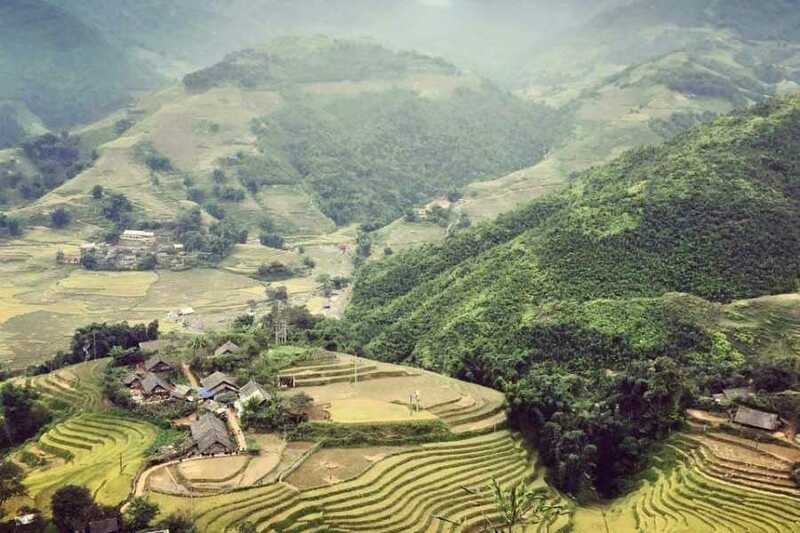 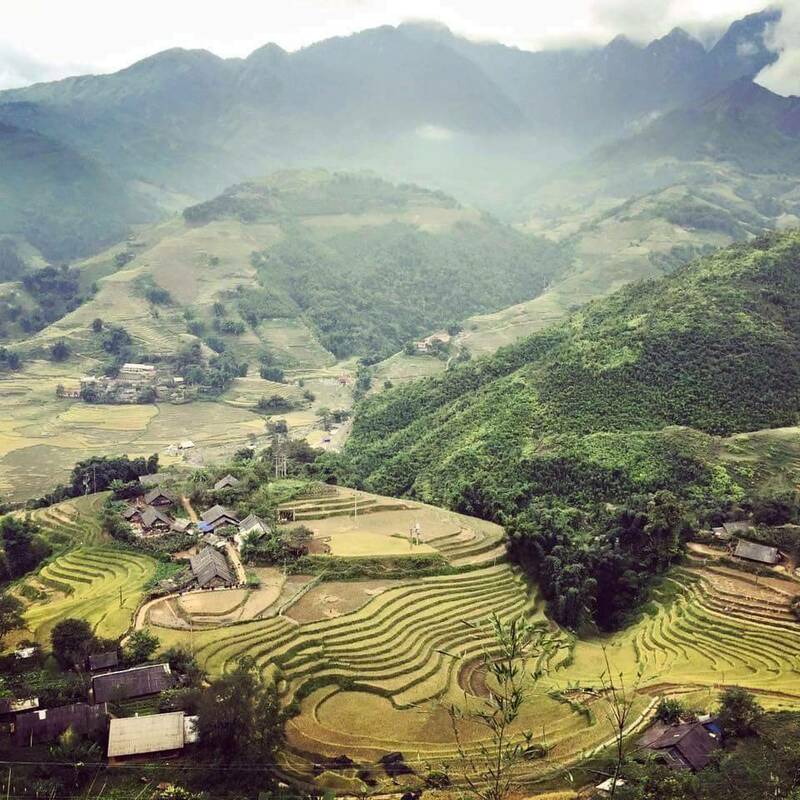 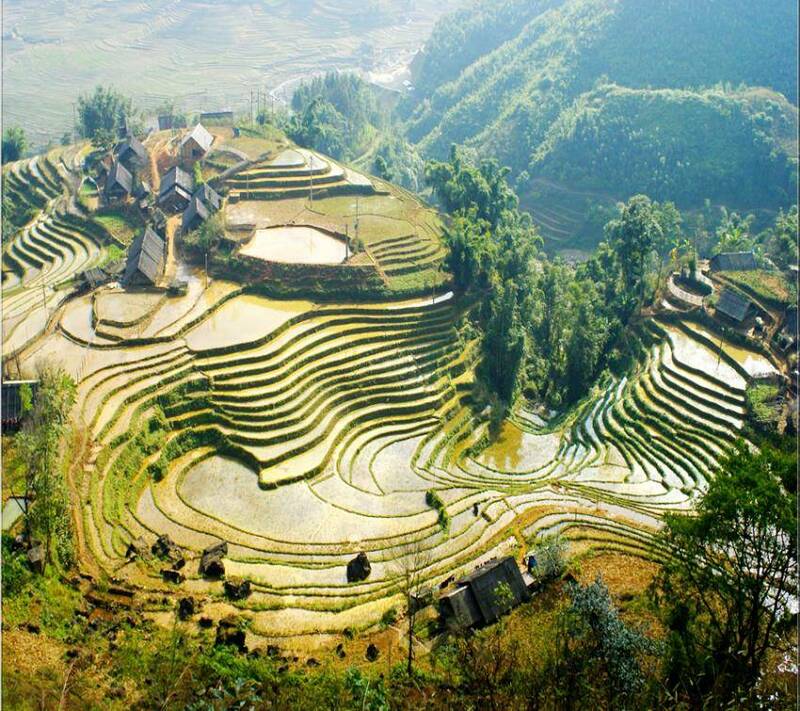 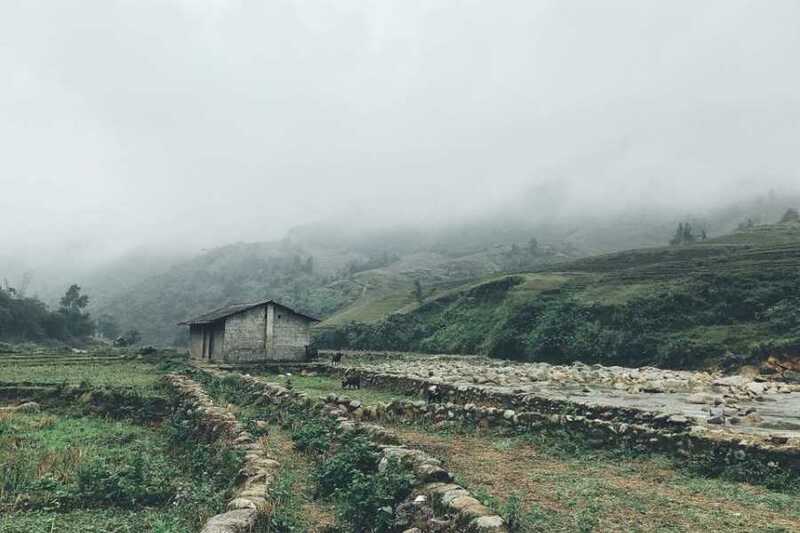 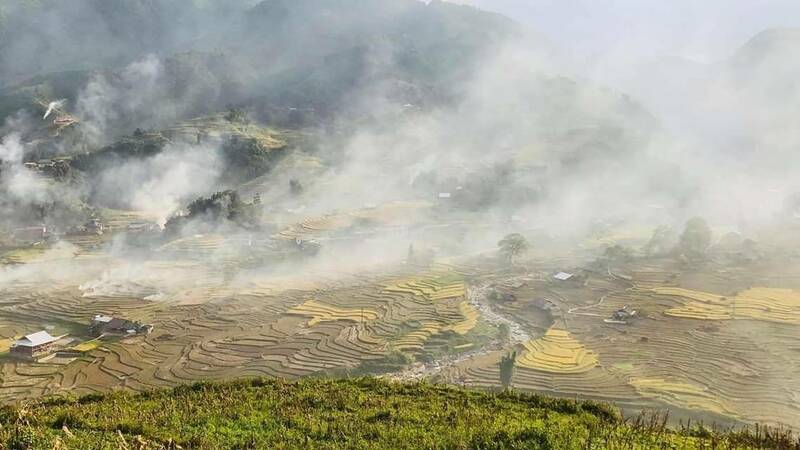 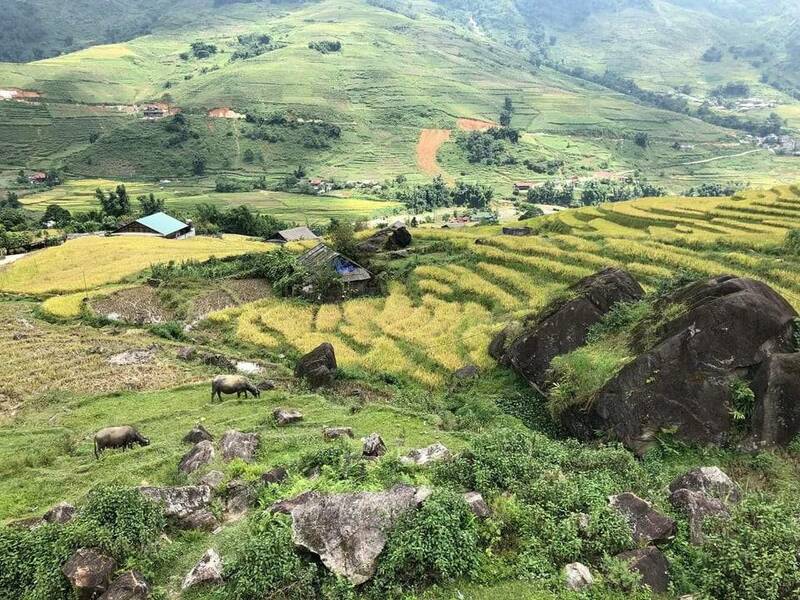 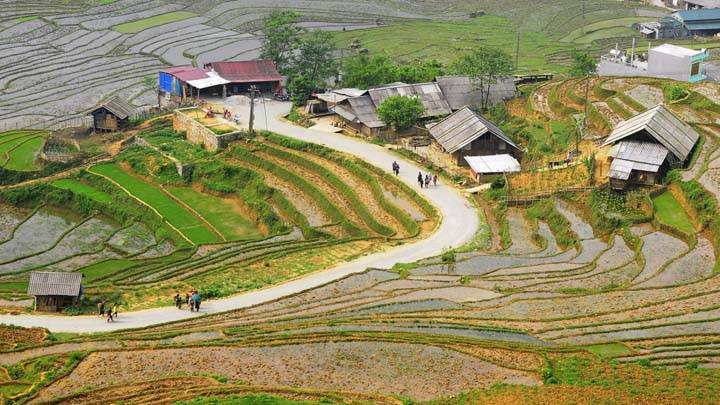 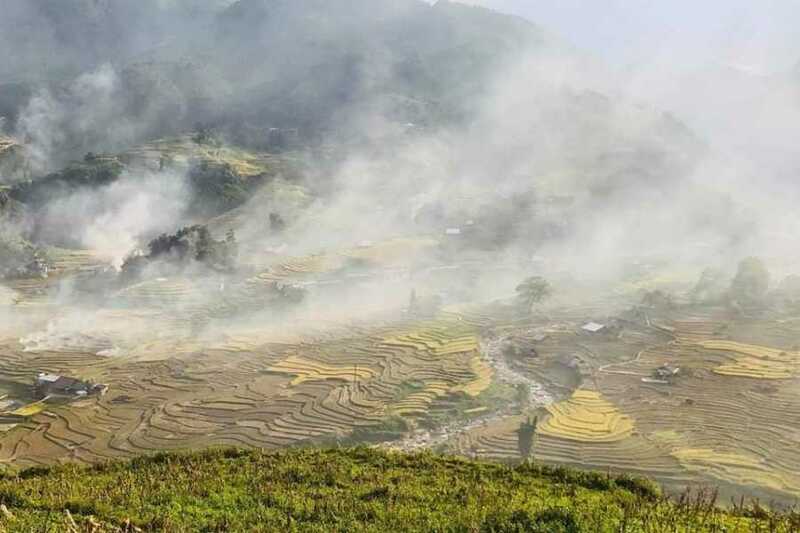 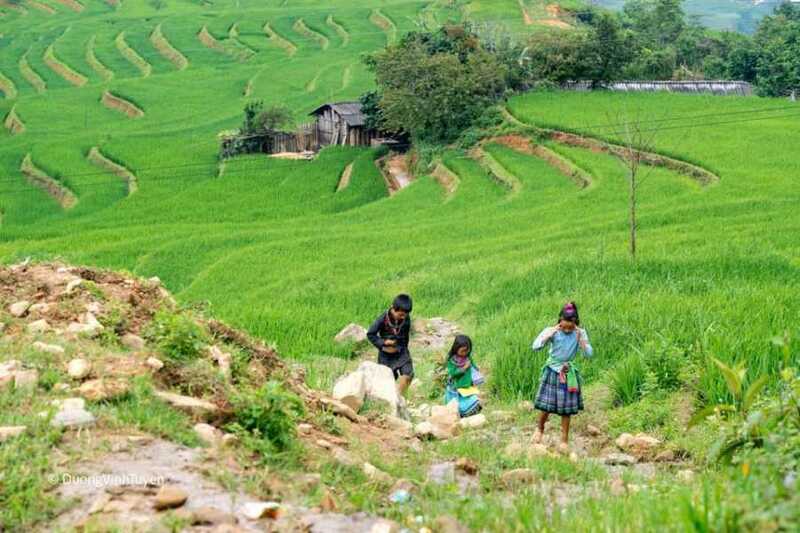 We Trekking to Y Linh Ho and start trekking downhill you at Muong Hoa Valley through rice paddy fields and small hamlets to learn the life of hill tribes here. Communication exchange with local people in Lao Chai village. 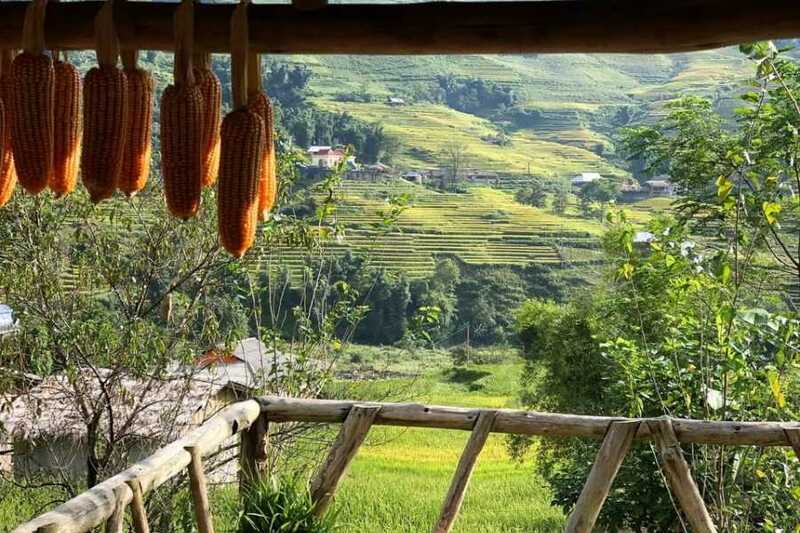 Cook & have lunch at local family, continueing trekking through villages and rice terraced fields to Ta Van village settled by Dzay ethnic people which is supposed to be the most beautiful one in the area. 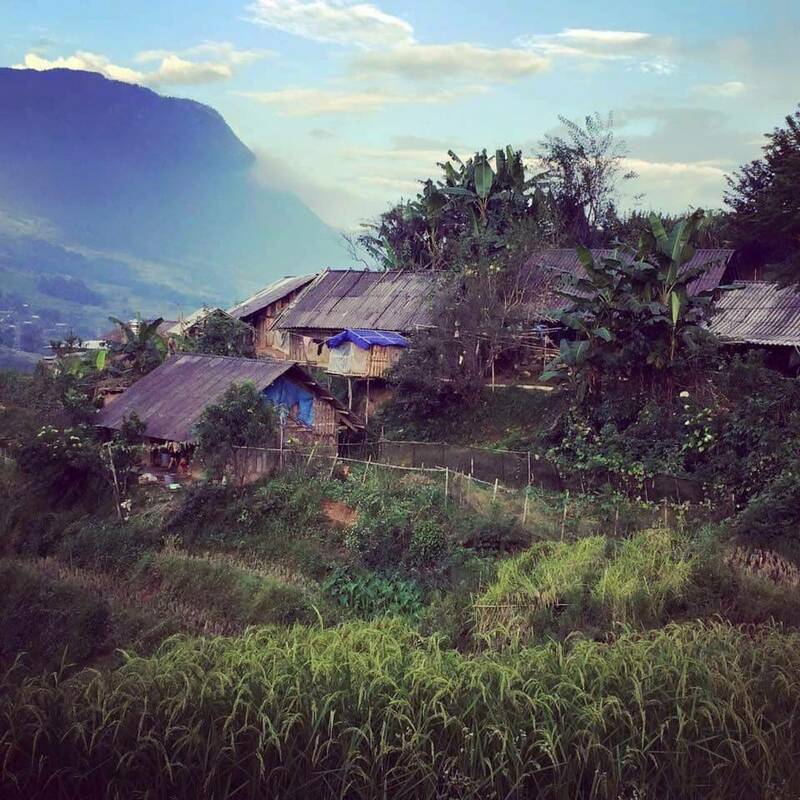 Diner and overnight with a local family in Ta Van. 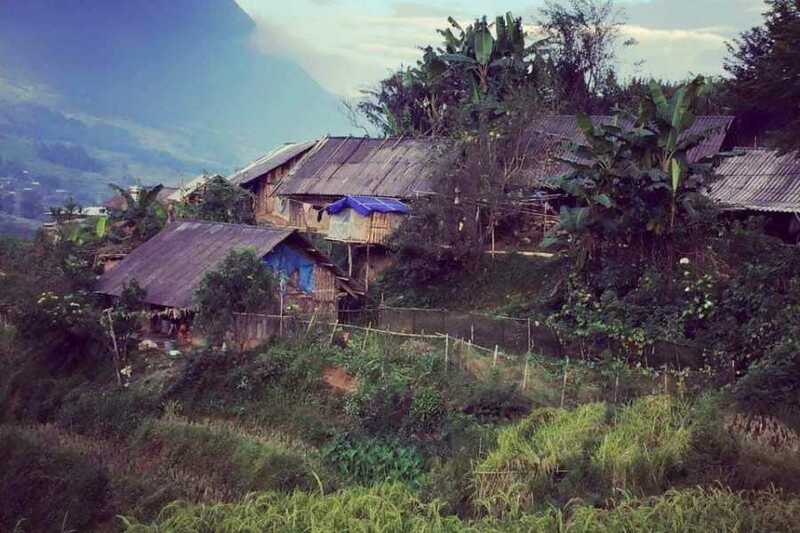 Overnight at home stay of the Dzay people. 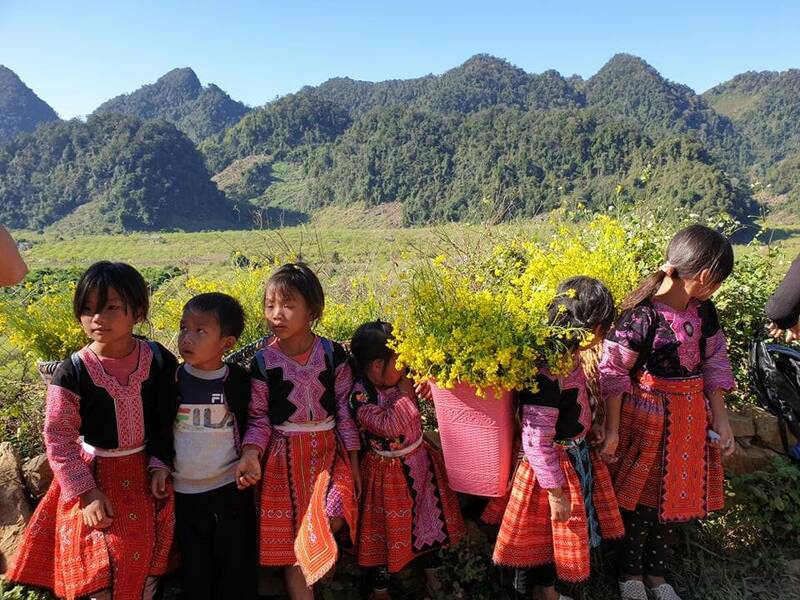 Fare welling the local family than we continue to visit the Red Dao people at Giang Ta Chai where we also see a waterfall. 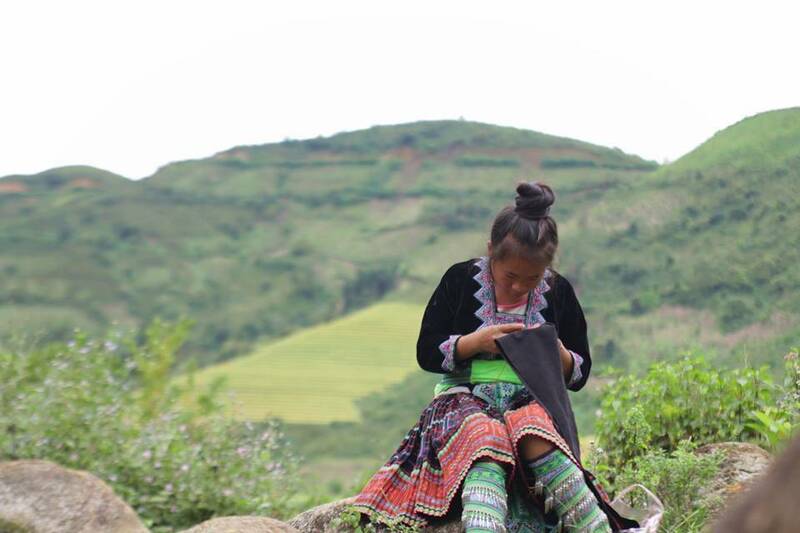 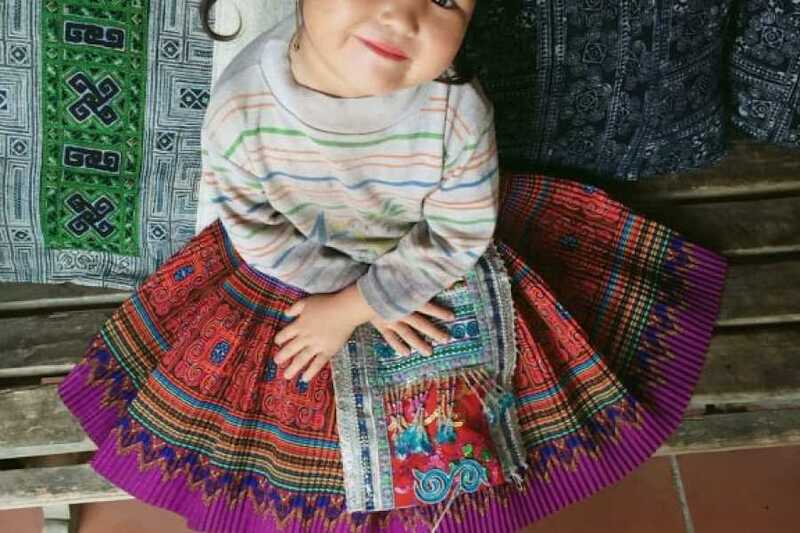 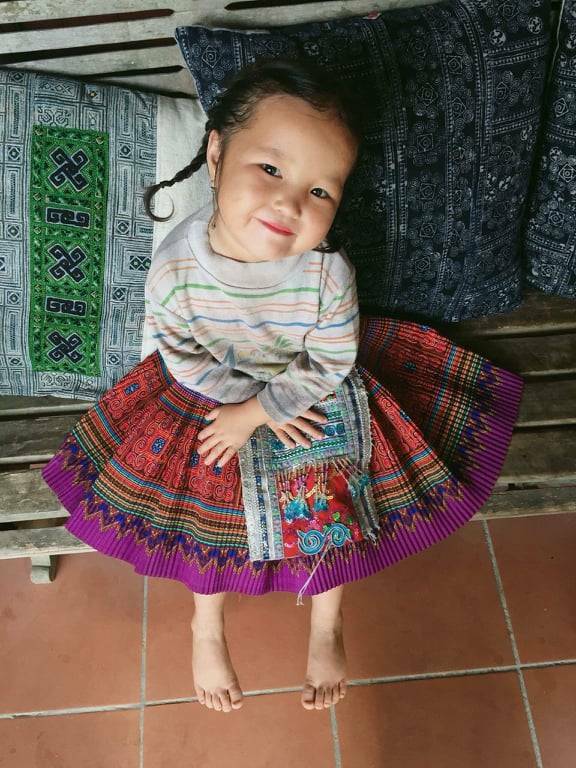 The Red Dao women have very colourful red embroideries and coins on their clothing. 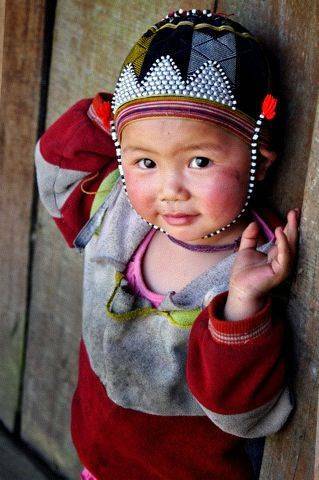 On their head they wear a red scarf. 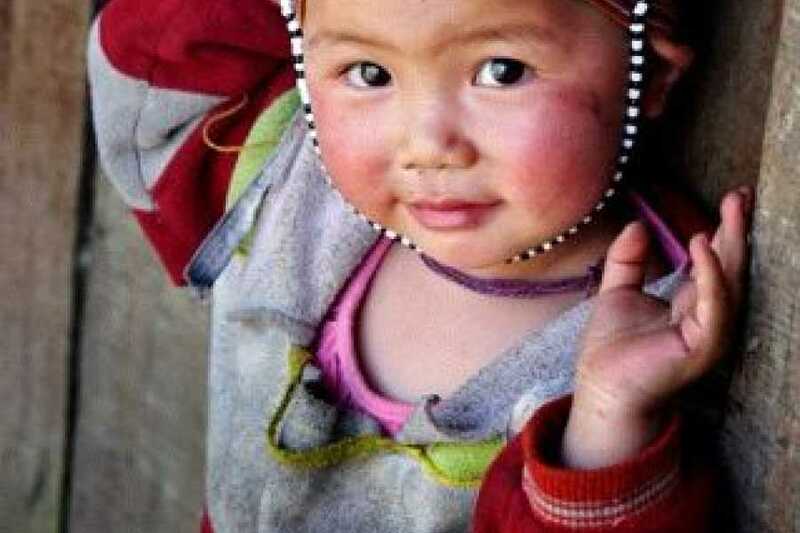 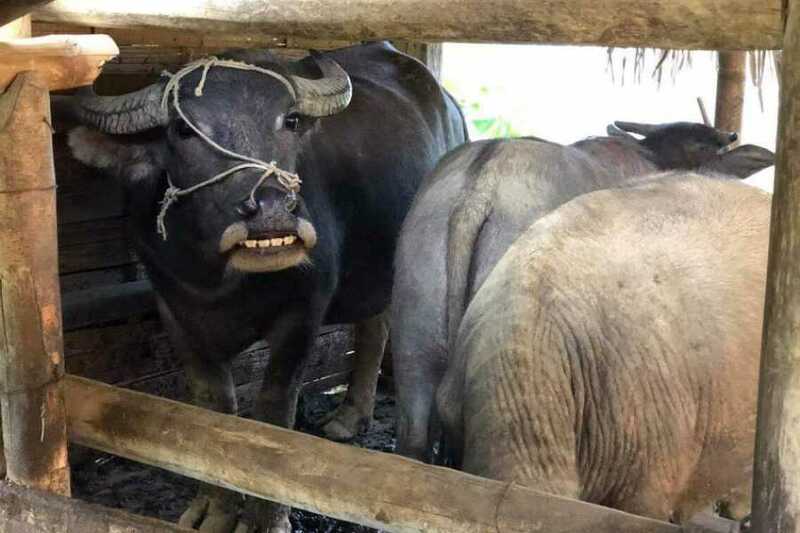 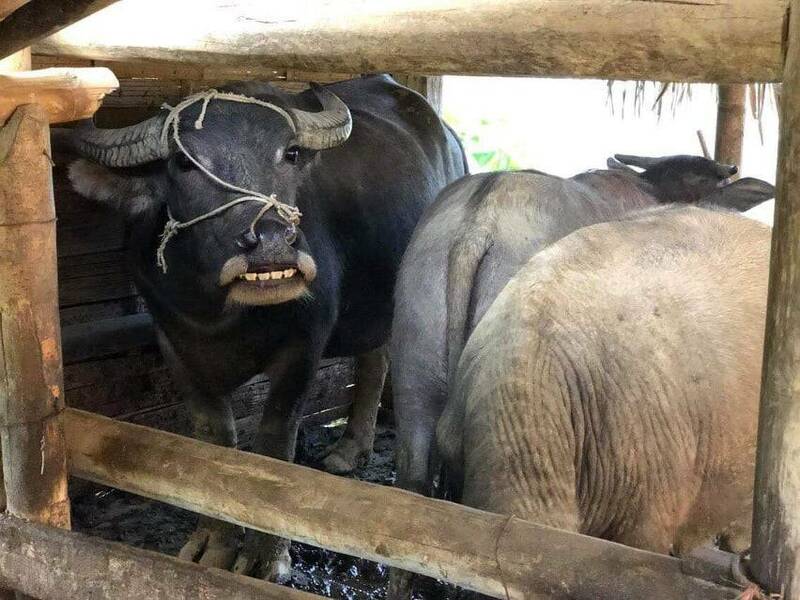 Some of the women have shaved off their eyebrows because of a nice Red Zao legend. 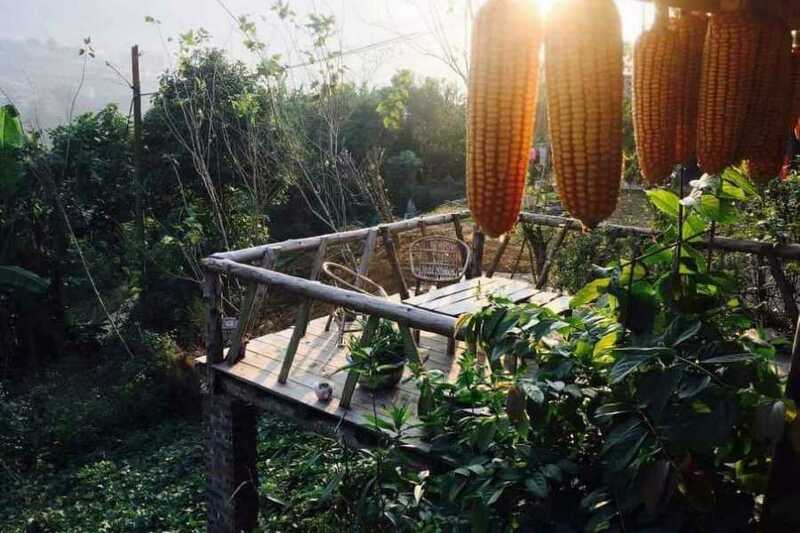 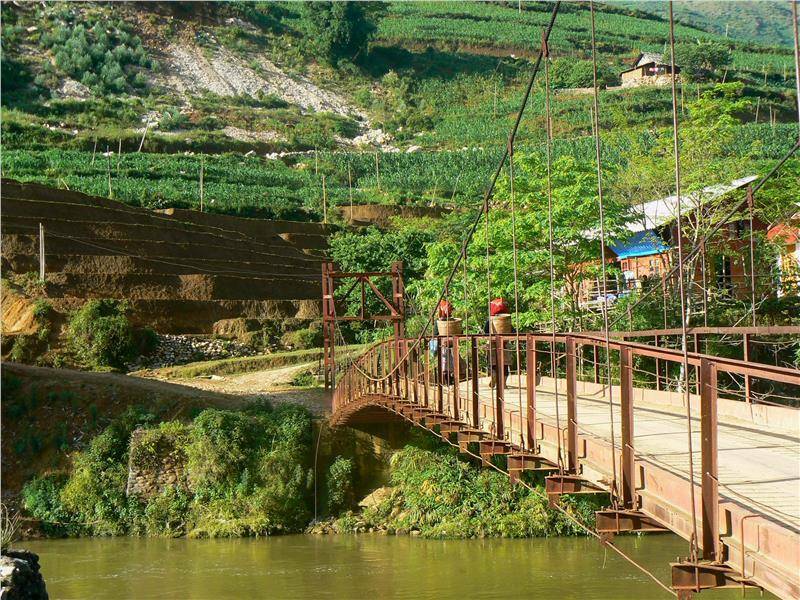 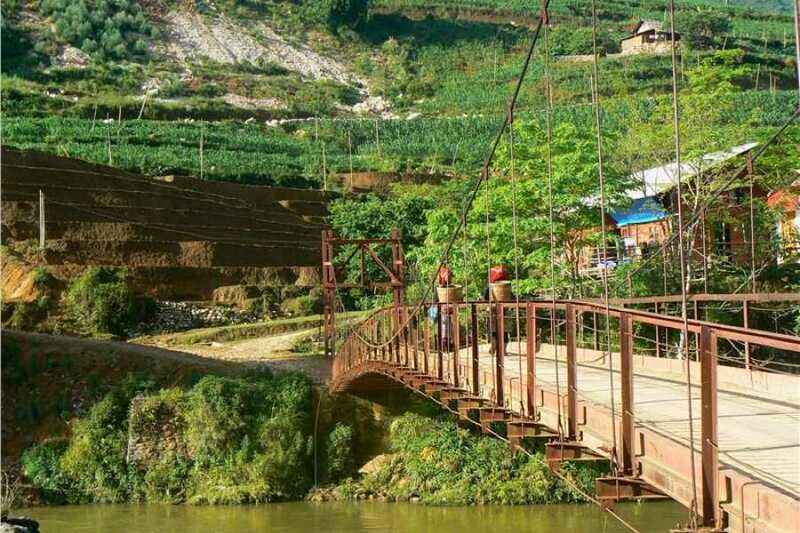 We continue along small paths in the rice fields, cross the Muong Hoa River, Supension Bridge and walk up to Supan. 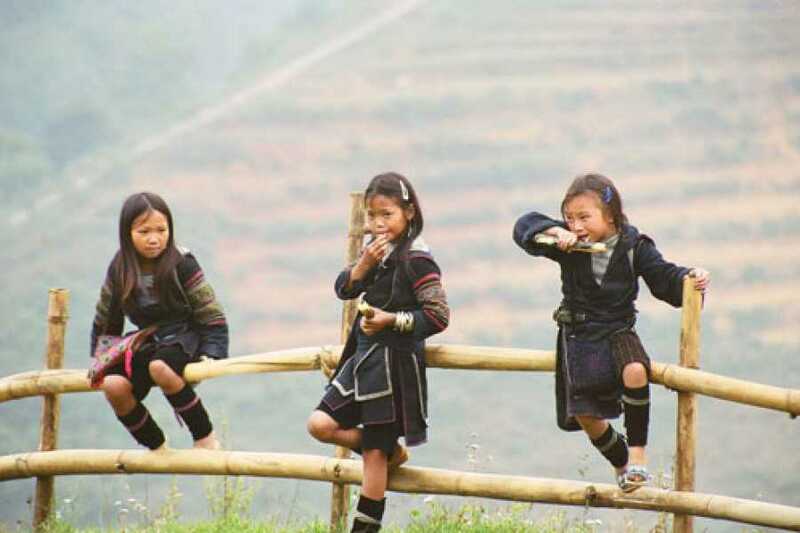 Enjoy a picnic lunch by the stream before moving on to Ban Ho villages. 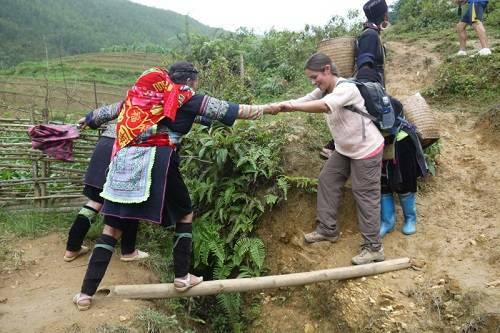 Get off the road to go down hill to BanHo village. 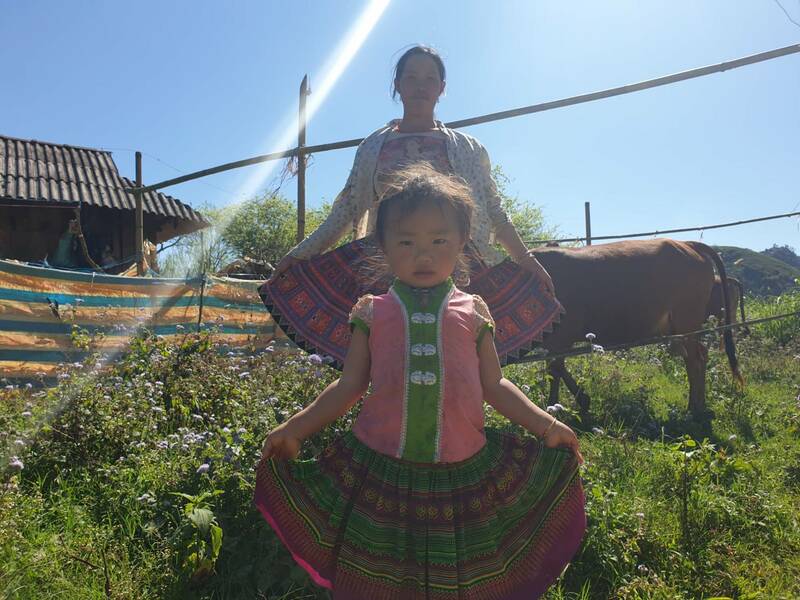 Overnight at Ban Ho with a Tay family who have houses on stilts. 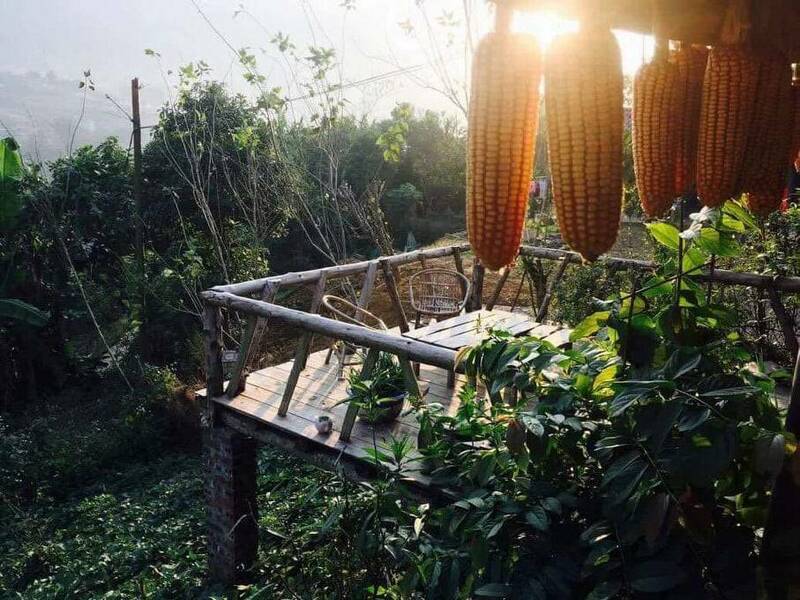 Have dinner and stay overnight at the family.